Scores 27 Highway MPG and 29 City MPG! This Toyota Highlander has a durable Gas/Electric V-6 3.5 L/211 engine powering this Variable transmission. *Get Your Money's Worth for this Toyota Highlander with These Options *LIMITED PLATINUM PACKAGE , DOOR EDGE GUARDS, BODY SIDE MOLDING (TMS), ALLOY WHEEL LOCKS. * Stop By Today *Test drive this must-see, must-drive, must-own beauty today at Gloucester Toyota, 6357 George Washington Highway, Gloucester, VA 23061. Delivers 27 Highway MPG and 29 City MPG! This Toyota Highlander has a strong Gas/Electric V-6 3.5 L/211 engine powering this Variable transmission. *Get Your Money's Worth for this Toyota Highlander with These Options *LIMITED PLATINUM PACKAGE , SPECIAL COLOR, DOOR EDGE GUARDS, CARGO NET - ENVELOPE, BODY SIDE MOLDING (TMS). 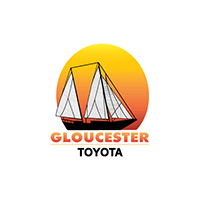 * Stop By Today *Come in for a quick visit at Gloucester Toyota, 6357 George Washington Highway, Gloucester, VA 23061 to claim your Toyota Highlander!